tunic 1, originally uploaded by indiaeden. 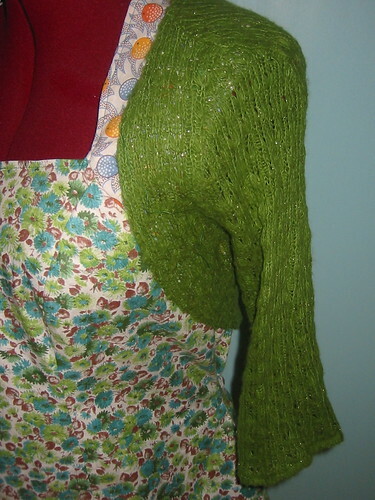 I started making this Amy Butler Tunic yesterday and completed it today. 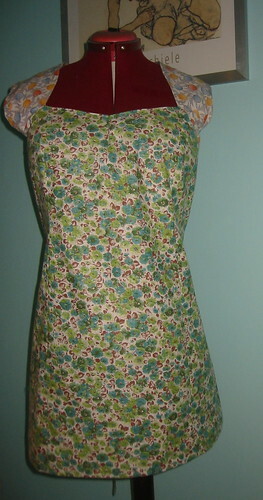 I used some vintage cotton bought at the antique textile fair a few weeks ago. 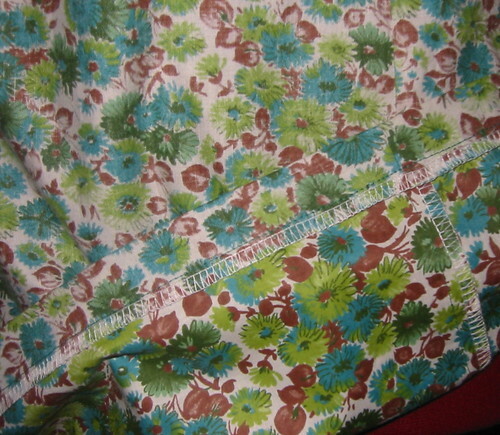 The green floral cotton only cost me £1 (for about 3 metres),and is from the 1960's.The accent cotton is original 1930's and was £12 for that tiny piece,but I love it next to the green. 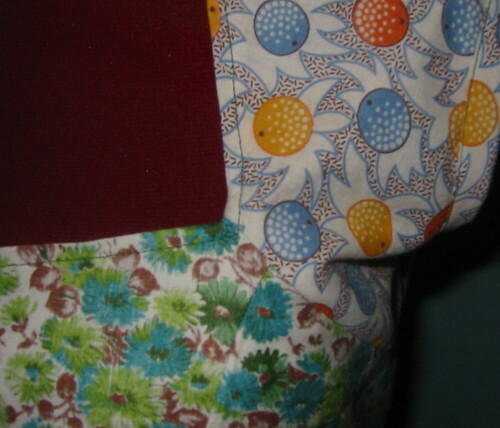 When I unpacked the green floral cotton,I realised I'd bought it based on the muted tones of the wrong side,and actually I really don't like the right side of the print,which you can see here on the inside of the tunic. I'm not sure I'll use this pattern again. I had to fiddle with the front section to get it to fit right.I ended up putting a small dart in the top of the centre front to get it to fit without gaping.I noticed even on the model on the pattern envelope the bust fabric gapes,so I don't think it was my duff sewing that was the problem. If I do make it again,and I half wanted to make the cami version in some lovely Liberty tana lawn I've been saving,I think I'll have to have a play with the fit first. 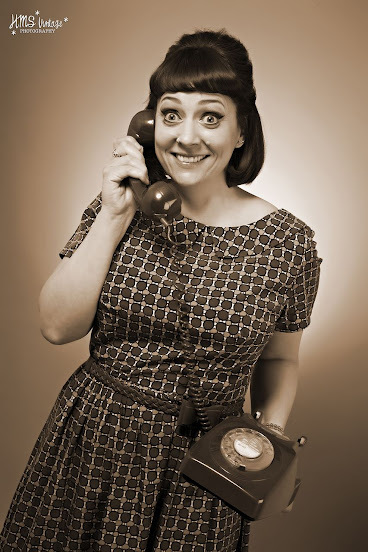 In any case, I think you did a wonderful job, I love the finished garment and the fabrics you picked out. Gorgeous as usual :-) but OMG!!! 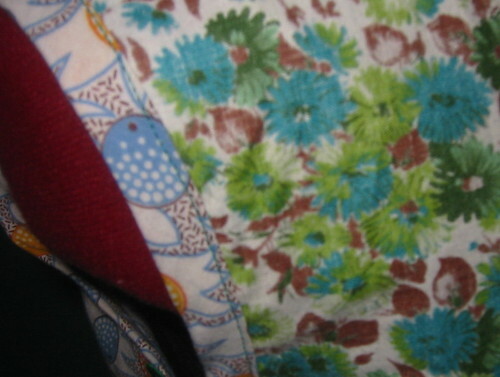 that print fabric! I swear it's the same pattern I made my first smock dress from at school! I bought it from Harborne! (about '73) more blues, but the print is the same!! 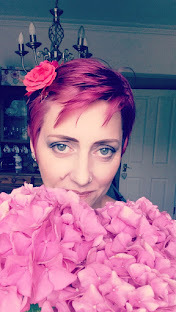 Thanks for the comments,I love to trace everyone back and check out their blogs too,some gorgeous yumminess there! LOL Sun, maybe I should wear the tunic on my next trip to JL!